Dynamic and diverse, the United States of America offers a fascinating cultural landscape of compelling cities and captivating scenery. Cross the iconic Golden Gate Bridge, marvel at the Grand Canyon, see the Statue of Liberty and travel across Philadelphia's Ben Franklin Bridge on an escorted tour of the USA. 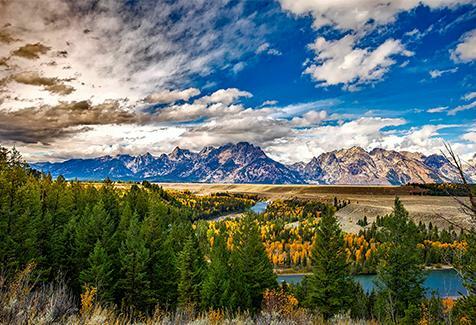 San Francisco, the Grand Canyon, Yosemite National Park, Las Vegas... America’s west requires little introduction. Likewise, the mighty East Coast US cities of New York, Washington DC and Boston have received ample attention over the years. Though distinctly different in terms of their people, past, culture, cuisine, atmosphere and architecture, the opposite sides of the US are eerily alike as travel destinations, in that they don’t just live up to their hype, they exceed it. 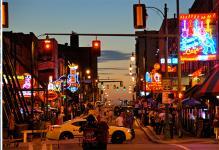 Whether it’s the rock’n’roll resume of Memphis, the country music scene of Nashville or the sweet jazz, funk and blues of New Orleans, America’s South is a magnet for music lovers. But music is not the only lure. Here, the elegance of a bygone era is apparent at every turn, the cuisine is remarkably tasty and the people are genuinely warm. Along the lower stretch of the mighty Mississippi River, meanwhile, Southern hospitality is at its most charming and American history at its most compelling.